This entry was posted in Giveaway/Sweepstakes and tagged Giveaway, Reebok, Sweepstakes on August 25, 2014 by Kayla Nizi. $50 Visa Gift Card Instant Win! This entry was posted in Giveaway/Sweepstakes and tagged Free, Giveaway on August 7, 2014 by Kayla Nizi. Dunkin’ Donuts Instant Win Game! This entry was posted in Giveaway/Sweepstakes and tagged Sweepstakes on August 7, 2014 by Kayla Nizi. Win a $5 Target Gift Card! Vote for Your Favorite Lay’s Chips and Enter to Win a $5 Target Gift Card! This entry was posted in Giveaway/Sweepstakes, Target and tagged Giveaway, Target on August 6, 2014 by Kayla Nizi. Win One of Five $50 Walmart Gift Cards! 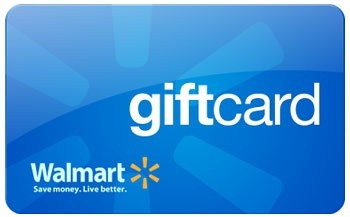 Enter To Win One of Five $50 Walmart Gift Cards! Compliments of Clean & Clear! Also Get a $1 Coupon Off Clean & Clear! This entry was posted in Giveaway/Sweepstakes, Wal-Mart and tagged Gift Card, Giveaway, Wal-Mart on August 6, 2014 by Kayla Nizi. Win A Free Music Downloads! Win 1 of 100,000 Free Music Downloads. Enter 5 Gum Truth or Dare Instant Win Game! This entry was posted in Giveaway/Sweepstakes and tagged Free, Giveaway on August 5, 2014 by Kayla Nizi. Free Salad For A Year! Enter to win Free Salad For A Year compliments of Jewel-Osco and Earthbound Farms! This entry was posted in Giveaway/Sweepstakes, Jewel-Osco and tagged Free, Giveaway, Jewel-Osco, Sweepstakes on August 4, 2014 by Kayla Nizi.